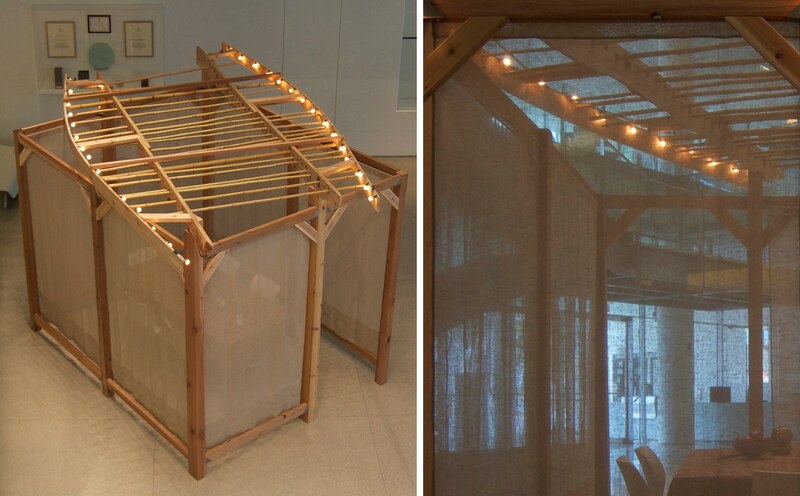 Sukkah II is inspired in form and concept by the aesthetic of the Japanese tea hut. 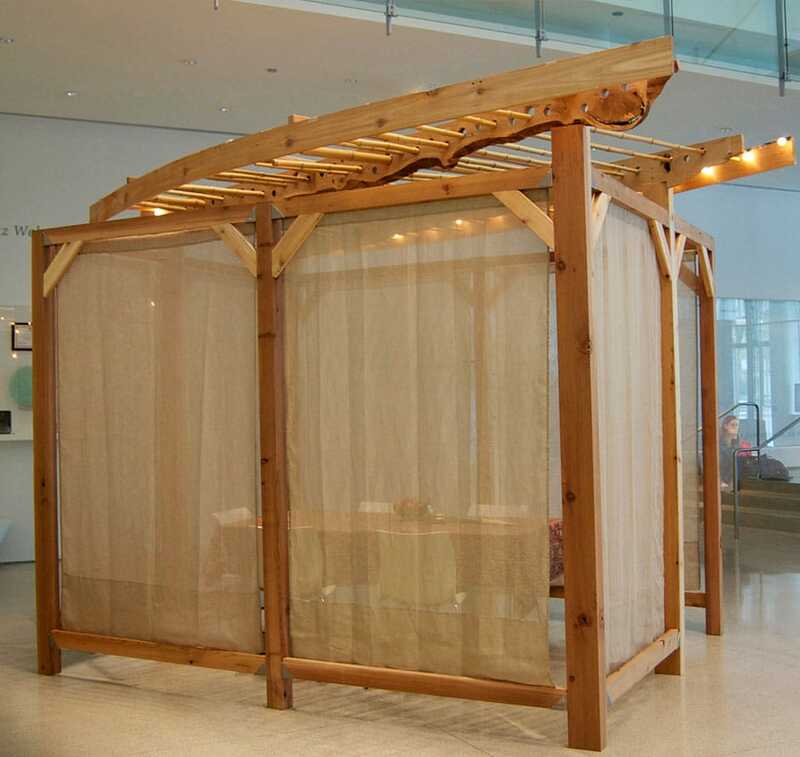 The principles of simplicity, austerity, irregularity, and impermanence found in that tradition echoes the ideals of the sukkah, a place of humility and openness to nature. 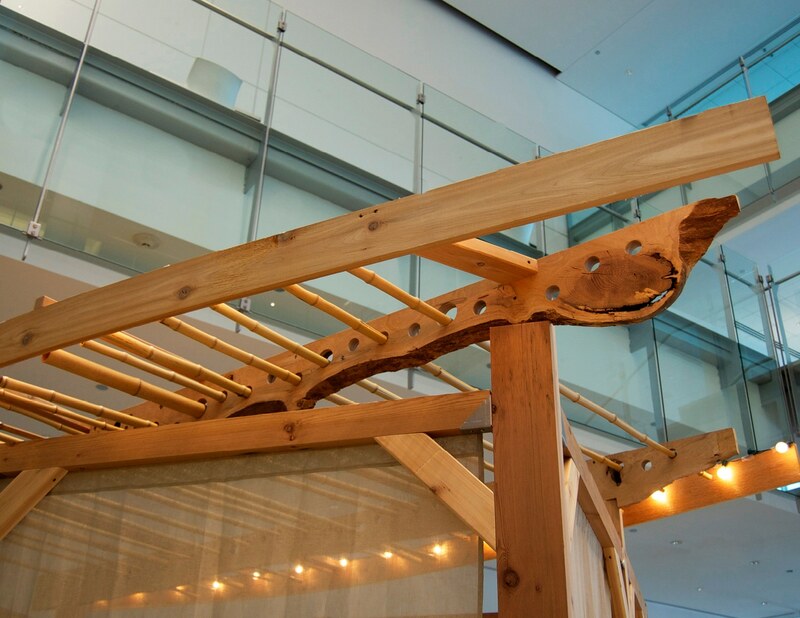 The sustainable materials used in the sukkah: reclaimed urban forest lumber, bamboo, and linen, remind us of our responsibility to live lightly on the earth.